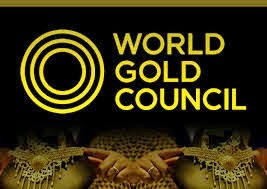 International gold demand remained unchanged in the first quarter of this year at 1,074.5 tonnes, while jewellery purchases made moderate gains of 3 per cent mainly due to lower gold prices, according to the World Gold Council report. Global demand for gold stood at 1,077.2 tonnes in the January-March quarter of the previous year. “... Quarter 1, 2014 signals a return to the long-term average patterns of demand, holding steady at 1,074 tonnes. It is clear that the longer term underpinnings of the gold market, like jewellery demand in Asia, remain firmly in place,” Marcus Grubb, WGC Managing Director (Investment Strategy), said. It demonstrates the continuing resilience of the market and the unique nature of gold as an asset class, he added. Global demand for jewellery went up by 3 per cent to 571 tonnes in the first quarter of this year, largely due to lower gold prices compared with Q1 2013, the WGC ‘Gold Demand Trends’ report said. Seasonal factors, notably Chinese New Year, contributed to record first quarter jewellery demand in China, it said. There was a 10 per cent rise in demand for jewellery in China, which became the largest global market for gold demand in 2013. New year seasonal affects were also present in a number of markets in the South East Asian region, especially in Indonesia and Vietnam, where demand increased by nine per cent and three per cent, respectively. 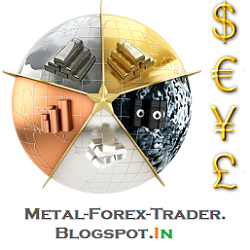 Central banks continued to be strong buyers, purchasing 122 tonnes in the quarter. “While this represents a fall of six per cent compared to Q1 2013, it is the 13th consecutive quarter, in which central banks have been net purchasers of gold,” the report said. Movements within the investment space were more striking as net ETF (exchange traded fund) flows were zero compared with 177 tonnes of outflows in Q1 2013. Demand for bars and coins fell 39 per cent to 283 tonnes. However, this coincided with the first rise in the quarterly average gold price seen since Q4 2012, which encouraged private investors to wait for clearer signs about the longer term path of the price of gold before deciding on their investment strategy, it said.